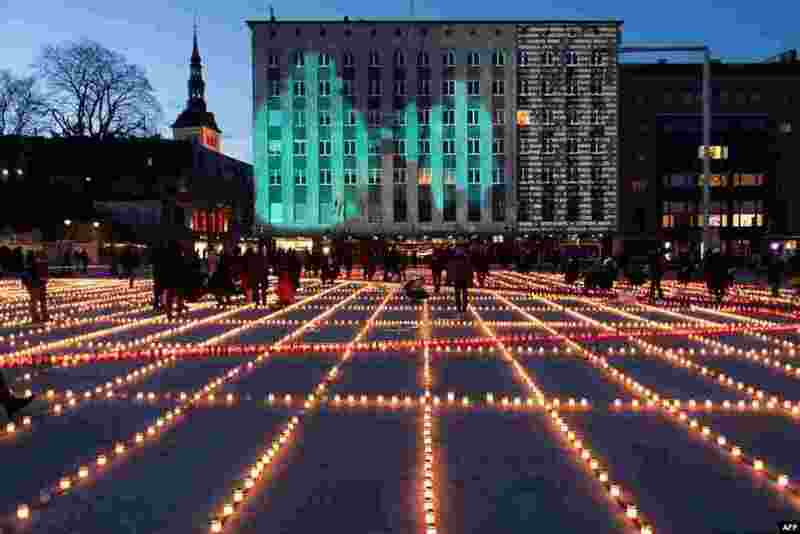 1 Thousands of candles are lit in Tallinn, Estonia, to remember the tens of thousands of victims of the March deportation. Between March 25 and 28, 1949, more than 22,000 people in Estonia were forced from their homes and deported east. Many never returned. 4 The French president's wife, Brigitte Macron (R), and the Chinese president's wife, Peng Liyuan, wave to the crowd as they visit the Palais Garnier opera house in Paris, France.